Hepar sulphuris is a homeopathic remedy that was created by Samuel Hahnemann, the father of homeopathy. Hahnemann combined the inner layer of oyster shells (Calcium carbonica) with flowers of sulfur and burned them to create Hepar sulphuris calcareum, or Hepar sulph. as it is commonly called. It is also known as calcium sulfide or Hahnemann’s calcium sulfide. Hepar is the Latin word for liver, and as certain compounds of sulfur had the color of liver, the remedy was so named. Calcium sulfide was once used as a treatment for mercury poisoning, gout, itching, rheumatism, goiter, and swellings from tuberculosis. Now it is used in veterinary medicine, and in the manufacture of medicine, luminous paint, and hair removal products. Although Hepar sulph. has the chemical properties of two other remedies, Calcium carbonica and sulfur, the actions of the remedies are different. Homeopaths prescribe Hepar sulph. for colds, coughs, sore throats, croup, abscesses, earaches, inflamed cuts and wounds, asthma, arthritis, emphysema, herpes, constipation, conjunctivitis, Candida albicans infections, syphilis, sinusitis, and skin infections. The main indications for Hepar sulph. are as follows. The patient is overly sensitive to pain, touch, and cold. Pains are sharp, as if a splinter or piece of glass were being poked into the skin. A sore throat may feel like a fish bone is stuck in it and the pain increases upon swallowing. The slightest pressure causes much pain and the patient may faint from the pain. The patient cannot tolerate the cold and any exposure to cold air causes chills. If a hand or foot slips outside the bed-covers the patient will become chilled. Any slight exertion will cause the patient to perspire. The patient’s sweat is cold and profuse and smells sour and offensive, like rotten cheese. Bodily discharges are yellow and thick and also smell offensive. If a cough is present, it is a dry, hacking cough with rattling of mucus in the chest. The typical Hepar sulph. patients are delicate, oversensitive persons who tend to be scrawny in build and have enlarged glands. They are slow persons with flabby muscles, and often have light hair. They catch cold easily, dislike the cold, crave sour foods such as pickles and vinegar, and may dislike fats. Mentally they are irritable, impulsive, angry, obstinate, anxious, fearful, impatient, sad, and depressed. They are very hard to get along with. Nothing pleases them and they dislike company. Often the desire to commit violence is present. They have poor memories. The Hepar sulph. patient is usually in a hurry—he drinks and eats fast and talks rapidly. 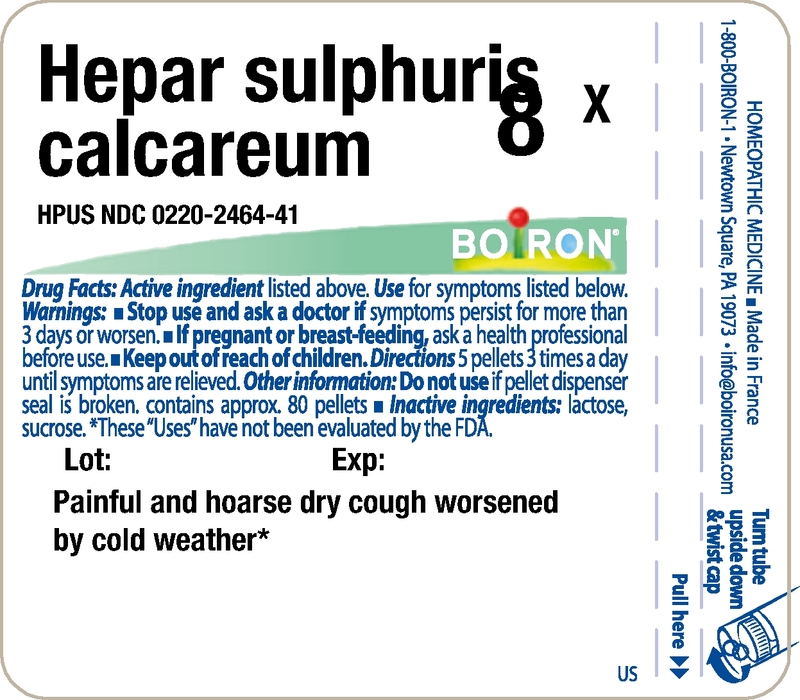 Hepar sulph. ailments generally arise from exposure to cold dry wind, suppression of perspiration and skin eruptions. Typical patients suffer from a lack of internal warmth, so all symptoms are made worse from exposure to cold conditions: cold air, cold weather, and cold wind. Fresh air, lying on the painful side, any pressure or touch, or being uncovered also aggravate the symptoms. Symptoms are worse in the morning and at night. Bed warmth and heat tend to make the symptoms better. The patient craves warmth and can often be found wrapped up in the bedcovers or wearing several layers of clothing. The action of Hepar sulph. prevents the formation of pus and hastens healing of abscesses. In fact, Hepar sulph. is one of the best remedies for abscesses, but is useful only before the abscess is open. The Hepar sulph. abscess is swollen and painful, with needle-like pains. Hepar sulph. colds are frequently brought on by exposure to cold, dry weather. A cold wind causes sneezing and a runny nose. At first the mucus is watery, then it becomes thick, yellow, and offensive smelling. The nose is swollen, red, and tender and the sense of smell may be lost. A hoarse voice, sore throat, and cough may develop. The patient may also be constipated. The Hepar sulph. cough is of a dry, barking nature with thick, sticky, yellow mucus. The chest becomes sore from coughing. The cough is worse in the evening, and the patient may cough straight through to midnight or sometimes all night long. The patient may gag or choke while coughing. Hepar sulph. may be used in the treatment of croup when the symptoms for cough are exhibited. Croup coughs are generally worse in the morning, and the patient may have difficulty bringing up mucus. The sore throat is accompanied by a splinter-like pain and swollen tonsils. The patient may feel as if there were a fish bone caught in the throat. The throat becomes worse from coughing or swallowing cold drinks. Fevers are hot and often are accompanied by chills. A cold, sour sweat may be present, although it doesn’t give any relief to the patient. If diarrhea is present, it is accompanied by a rumbling sensation in the abdomen. Earaches with sharp, tearing pains may occur suddenly and be accompanied by abscesses in the ears. If the eardrum ruptures there may be a bloody, offensive discharge. Eye irritations may indicate this remedy. The eyes are red and inflamed, and may discharge a fluid. Toothaches are accompanied by bleeding gums and mouth abscesses. Slow-to-heal cuts and wounds may be cured by Hepar sulph. The tissues surrounding the wound are inflamed and the pain is splinter-like. Pains in the finger, hip, and shoulder joints are caused by exposure to the cold and are of a sore, bruised nature. Hepar sulph. has a positive effect on such skin problems as eczema, boils, and herpes. The eczema is crusty, scabby, and oozing and generally appears in the bends of joints. Other eruptions may be moist, dry, itchy, and filled with pus. The boils are red, inflamed, and sore. This remedy is often indicated in liver problems. Symptoms include stitching pains in the right side, a soreness that is aggravated by pressing on the area, sensitive hemorrhoids, and constipation. A burning in the bladder or frequent urge to urinate may be present. The urine flows in a slow stream or in drops. Finely powdered oyster shell is mixed with flowers of sulfur and heated in an airtight container. The resulting white powder is dissolved in hot hydrochloric acid, mixed with milk sugar and diluted. Hepar sulph. is available at health food and drug stores in various potencies in the form of tinctures, tablets, and pellets. If symptoms do not improve after the recommended time period, the patient should consult homeopath or health-care practitioner. Do not exceed the recommended dose. There are no side effects, but individual aggravations may occur. When taking any homeopathic remedy, the patient should not use peppermint products, coffee, or alcohol. 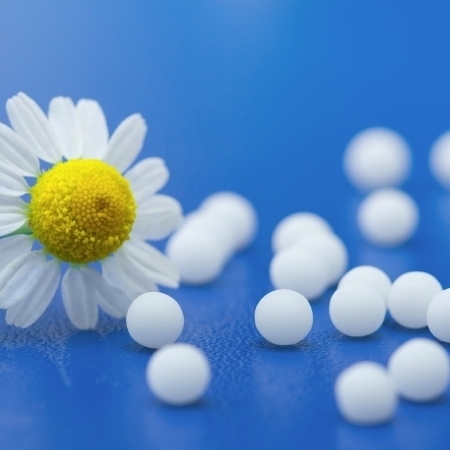 These products are known as antidotes in homeopathy. They counteract the homeopathic remedies.